A magical experience for the whole family, the award-winning World of Beatrix Potter at Bowness on Windermere brings the children's authors classic tales to life. Beatrix Potter (1866 - 1943) is best known for her beautifully illustrated children's books of Peter Rabbit, Jemima Puddle-Duck, Mrs Tiggy-winkle and friends. 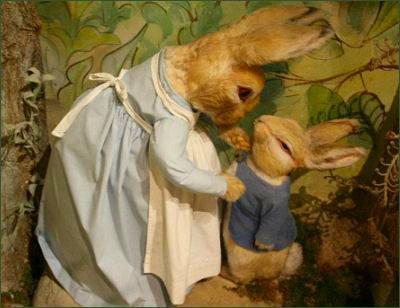 The World of Beatrix Potter is like a walk-in storybook, the attraction has life size recreations of scenes from Beatrix Potter's famous children's books, complete with sights, sounds and smells. Visitors can also learn more about the story of Beatrix Potter's life. Three-dimensional displays reveal how her home Hill Top Farm at Near Sawrey inspired some of Beatrix Potter's most enduring illustrations. 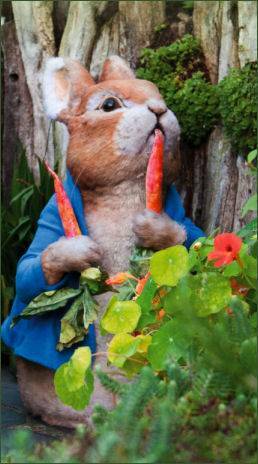 The Peter Rabbit Garden, where vegetables such as lettuce and gooseberries grow, features bronze fifteen feet statue of three children releasing Potter's character Jemima Puddle-Duck, which was unveiled in 2006 by the actress Renee Zellweger. The garden also includes characters from all the author's stories and a carving of of her Lake District home, as well as the code she used in her personal diary. Simultaneous translation in French, German and Japanese is also available throughout the attraction. The Attraction includes a Beatrix Potter shop and Tailor of Gloucester Tea Room.